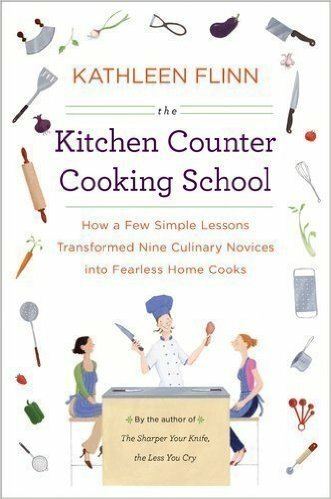 I've just finished a wonderful book by Kathleen Flinn, The Kitchen Counter Cooking School, How a Few Simple Lessons Transformed Nine Culinary Novices into Fearless Home Cooks, which is the second of her books I've read. We at Cook the Books, featured Burnt Toast Makes You Sing Good last year, and I did enjoy it, and posted about my Perfect Pizza, but this one I'm way fonder of. Great sense of humor right from the first paragraph, where she explains what got her started on the project that led to this book. She says: "Normally, I do not stalk people in grocery stores. I confess to the occasional practice of supermarket voyeurism." Following a woman and her daughter through the supermarket aisles, amazed at what they were putting in their cart, how she found herself convincing the woman to make better choices, without preaching or haranguing. Flinn gives down-to-earth information on changing eating habits whilst being entertaining at the same time. All that and with recipes thrown in. 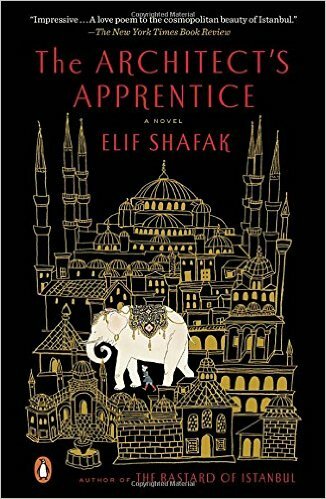 I'm reading The Architect's Apprentice, by Elif Shafak, a truly Byzantine epic, and romantic tale involving, among other things, the doomed love of an elephant-tamer/architect's apprentice and the Sultan's daughter. 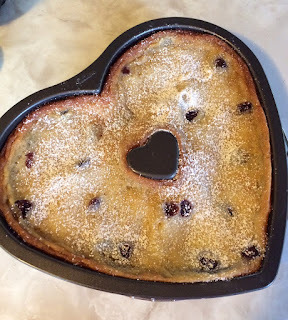 Hence the heart-shaped pan above, with my Valentine's dessert, a Gooey St. Louis Butter Cake. The book is quite an adventure, full of historical interest, and lots of local color, as it's partly set in the royal menagerie of the sultan's palace in Istanbul of the 14th Century. However, books are something like desserts. Sometimes you just have a taste, and stop, occasionally you get maybe halfway through and put it aside. This was one of those, more than halfway finished, and I am unapologetic about this, it was too much or not enough, either way, I think I prefer a more continuous flow going somewhere in a life. Not the whole life, with countless occurrences. First time making this particular cake, though it has been on my bucket "to cook" list for awhile. Apparently it is a tradition in Missouri. I added some dried cranberries on top for a bit of red, as well as balance against all the sweetness. Nice for breakfast the next day too. Especially with blueberries added on. I do love my fruit, and we are between tropical fruit seasons at the moment, in our gardens at least. Aside from lemons. Not long ago I posted about a type of tropical spinach, the Pacific Spinach, after I had succeeded in identifying it. In doing so, I mentioned other types, that it wasn't, but one of which I was then going to get, if that makes sense. 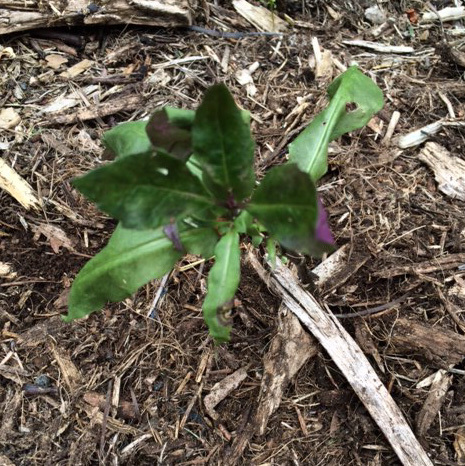 It's here now and planted, Okinawan Spinach, with mulch all around. It's a bit wilty, having just been put into the ground. You will notice it has a sort of maroon color underneath the leaves and green on top. The Pacific variety is more tree like, this one is a lower growing, ground cover sort, hopefully. Trust me, this is going somewhere.